I went K through 8 at Trinity Lutheran School, so I don’t have much first-hand knowledge of Cape’s public schools. In fact, it was a bit of a challenge to locate Jefferson School, which turned out to the the oldest standing of Cape’s schools. The school was built in 1904. You can read an excellent history of the school, which includes contemporary photos of the interior by downloading the National Register of Historic Places registration form. It’s a large document, so right-click on the link, then choose Save Link and open the file later with Adobe Acrobat. The Civil War slowed population growth in Cape, but the population nearly doubled between 1900 and 1910, and had almost quadrupled by 1925 to 15,258. 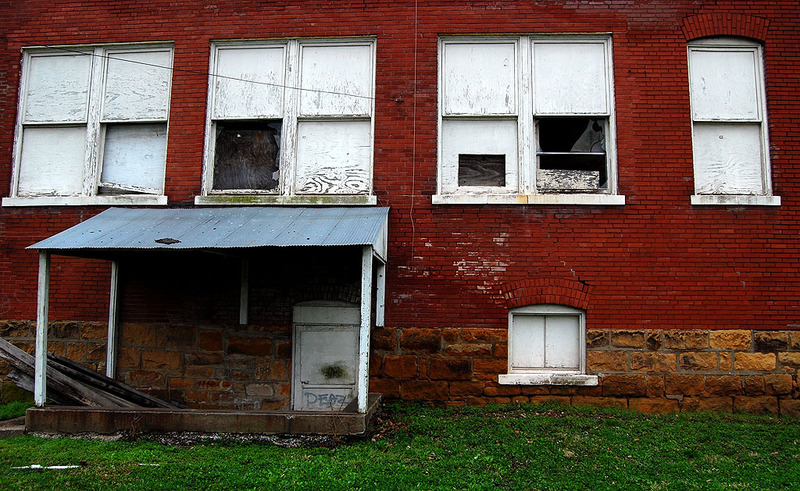 Much of the growth was in the working class neighborhoods in the area served by Jefferson School. The building had four class rooms on each floor, with a central hallway and two narrow stairwells. In 1953, Cape Girardeau schools were still segregated. 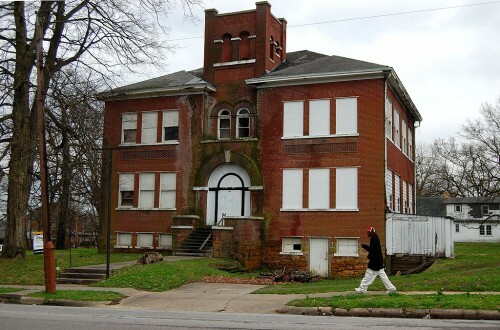 Black students attended John S. Cobb School (originally named Lincoln School) until the school was destroyed by a fire. White students attending Jefferson were sent to May Greene School, and the 108 Black students were sent to Jefferson School. Bob Miller wrote an interesting piece for The Missourian when classmates celebrated a school reunion in 2004. 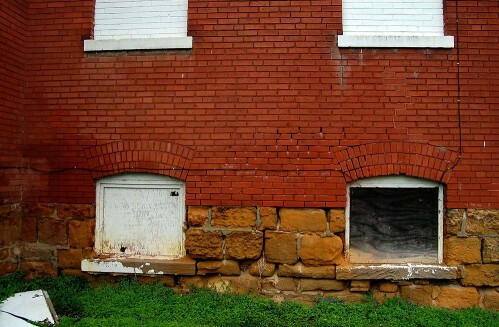 When the school system was integrated in 1955, the school was closed. At some point, the interior was converted to apartments, with two apartments on each level.It also served as a union hall. Much of the original wood trim, stairwells and windows are intact. 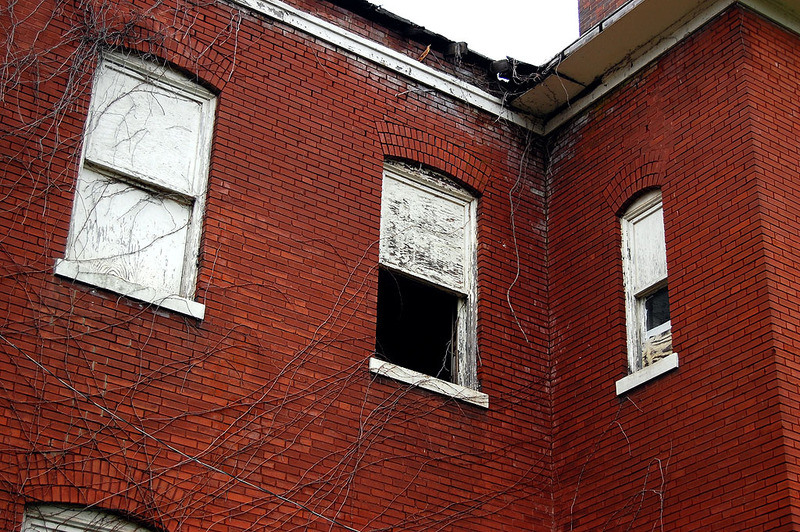 Years of neglect, water damage and vandalism, have taken their toll. I asked the developer who converted Schultz School into very attractive senior housing if he had considered taking on Jefferson School as a project. He said the building didn’t have enough possible living space to make it practical from his viewpoint. Click on any image to make it larger, then click on the left or right side of the photo to move through the gallery. John David (my brother) lived in one of the apartments awhile back. 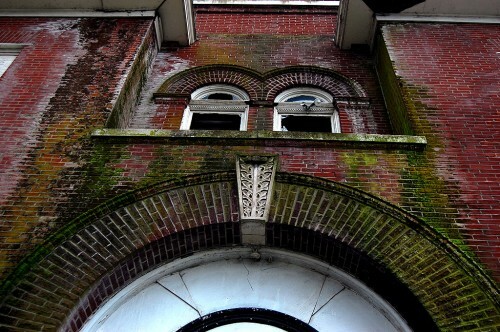 It is a very neat building, but needs a lot of work! Few recall when Cape’s schools were segregated. And fewer still remember that it was another fortuitous fire (like that at the CG Country Club), that made the social transition relatively painless. In March 1953 when Cobb School burned under mysterious circumstances, across town a state-of-the-art high school was in construction, the funding for which strained the limits of Cape’s taxpayers. With Brown v Board of Education about a year away, the question facing the town was more an economic one with integration the cheaper alternative. I had not made the connection between the fire, which happened after a basketball game, and the relatively seamless integration. Interesting parallel between that and the CG Country Club fire. It’s amazing how things happen in the middle of the night. My mother tells the story about how there used to be a cemetery in the middle of Advance in the town square. Some of the city fathers didn’t think that projected the right image. In the middle of the night, all of the tombstones disappeared. Nobody “knew” who did it. The graves are unmarked to this day. Ah, yes – the disappearance of the tombstones from the center of town is the best-kept secret in Advance, Ken! “Nobody knows” is the old mantra I’ve heard ever since I came in ’75. Even if you find out who did it, you can find no one who agrees on WHEN it was done. To compound the mystery, all of the ones responsible are dead, and the memories of those left behind are becoming more and more fuzzy. For example, some “research” (word-of-mouth) says that it happened in 1948, but Paul Corbin, who opened his general merchandise store in Advance in 1945, says that the stones were GONE by that time. Corbin may be 95, but his memory is excellent. Now, as for where the stones WENT, there is no agreement. Some say the Castor River, some say the Diversion Channel, some say the old Tillman Cemetery south of Advance. As a newspaper reporter, I have no intention of ever revealing the secret – even if I were to find out for sure. I think it should forever be an unsolved mystery! Oh, come on, Madeline. Break the story. All the players are probably long dead. You owe it to history to write the real version. I was in the last class to enter Cobb School. I started at age 4 because I lived next door to the KG-2 grade teacher, May Randall. 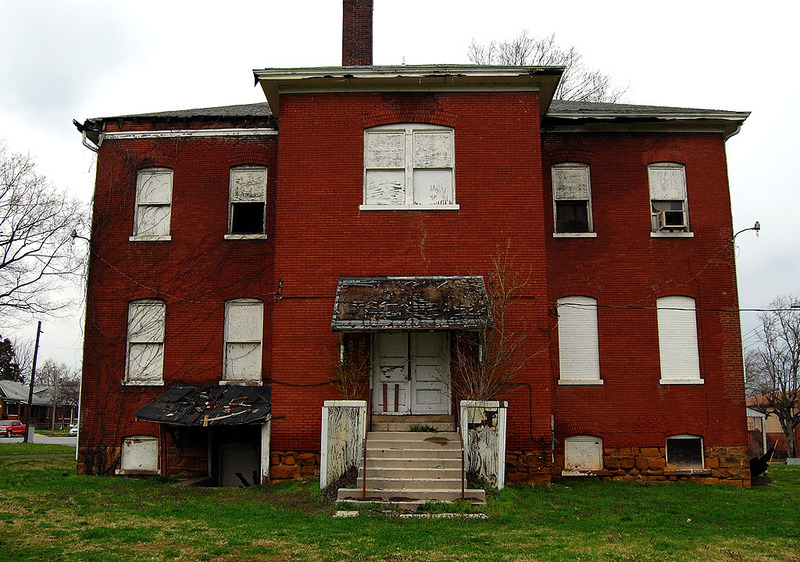 My parents allowed us to remain at Jefferson School until it was closed. The schools had been integrated but my parents kept me and my brother, Ed, attending Jeffeson School because they did not want to see the black teacher displaced. I began attending Washington School in MS. Givens third grade class. It was no big deal to attend the integrated school because we all played together and visited each others homes before and had only attended separate schools. ( So blind is a child until he is taught racism). I attended Jefferson School for my first year of school. My teacher was Miss Miskell(sp? )– a very sweet lady in my memory. I remember playing on the playground trapeze and eating lunch in the basement of the building. The kids would bring nuts for the squirrel that lived in the tree outside our classroom window. We had to leave the school and go to May Greene whenever John Cobb school burned and classroom space was needed. I have very fond memories of Jefferson, but unfortunately very few pictures. Any chance that I might arrange an interview with you, regarding your experience at the Jefferson School in Cape? 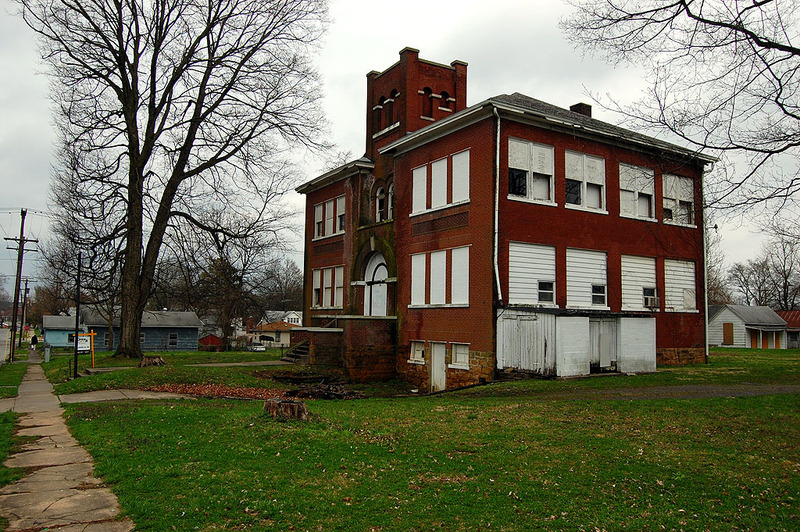 I’m interested to find the people who attended this Old Jefferson School and get their stories! My wife and I are former public school teachers who have started a unique private school. 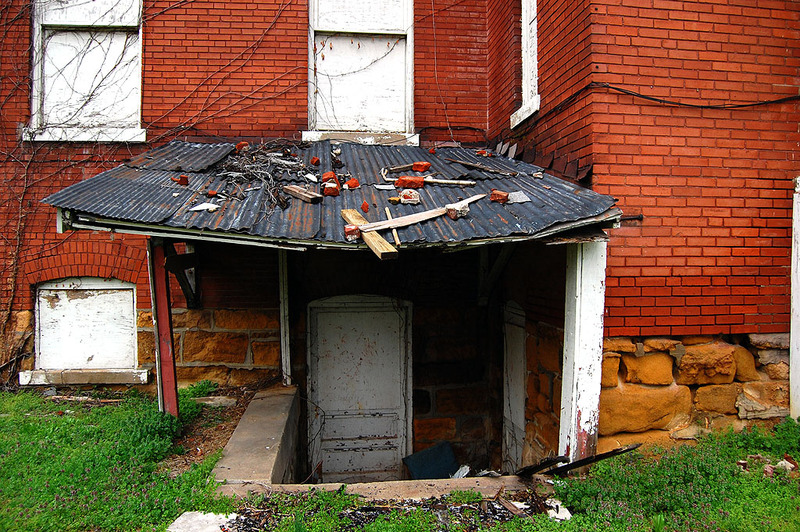 We are looking to restore this building to its original purpose…educate children. I wish you luck. Maybe some of the folks who read this blog will respond to you. You’re on a race with the wrecking ball, though. Are you familiar with the Central High School email lists for the 50s and 60s decades. You might post your query there, too. If you don’t have the info, I’ll email it to you. I have no comments about the Old Jefferson school but I was wondering Ken if you have any pictures of the brick building across the alley from the ‘old Esquire” theater. It is now a coffee shop and connected to the telephone company. My father had his Uregas appliance store in that building. At one point he propane gas tanks in back. He closed the appliance store in the late 50’s. I just think it is a nicely decorated building and wonder if there are any pictures of when it was an appliance store. I almost did a post on that building the other night. Give me a few days and I’ll pull together some stuff on it. I remember it as Beard’s Sport Shop in the far background of this night shot of Broadway. I spent many a lunch hour in there prowling the aisles. Rarely if ever, do I comment on local events, politics, or issues. This however, will be an exception. I moved away from my hometown of Cape Girardeau many years ago to seek better financial opportunity in my career field. Visiting from time to time I’m often shocked by the amount of razing of historical and architecturally interesting structures that has taken place. It’s become sad tradition whenever I arrive to take a touring journey of discovery of whats missing in the name of progress by the university, the hospital, or the city. 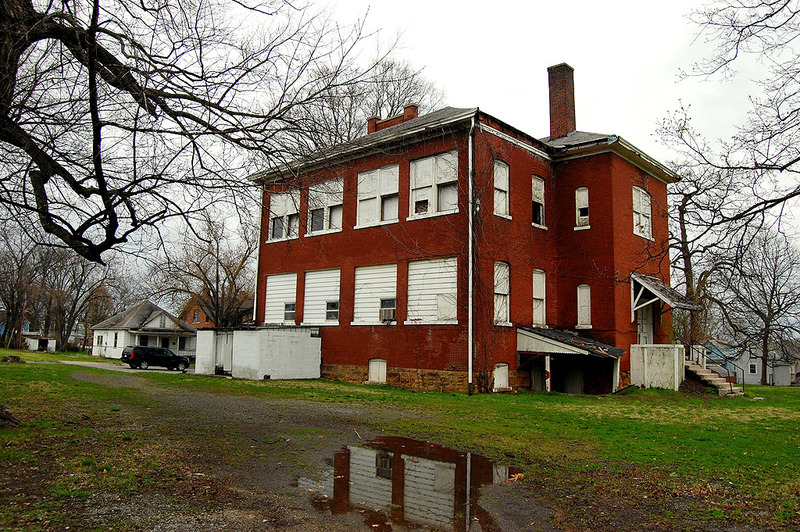 The question always becomes how does a community so well organized and grounded in sound morals, principles and economic development allows its history and significant buildings to be lost? This leads to other important questions with vague answers. 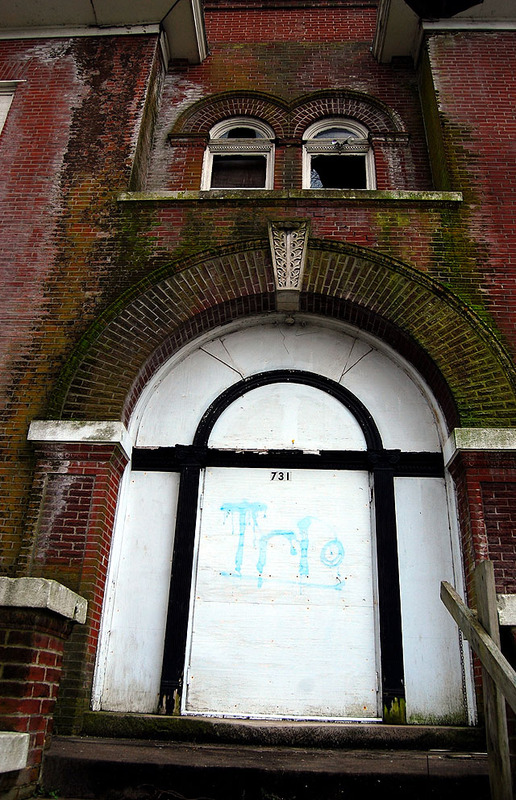 Is Thomas Meyer the only historic preservation champion left in the area? His Quixotic efforts for the Marquette were finally realized with a gemstone for the community being saved. I applaud the university for developing the St. Vincent’s Seminary transforming it into the River Campus. I applaud the handful of local small business owners that have struggled to rehab structures with little local assistance to create viable business and purpose for these treasures. Do you find it odd that the majority of large scale preservation has been from out of town investors? How does a community donate equipment labor and materials to raze a building and not to save a building? I would encourage local leaders and investors to take a hard look once again at their motives for not saving Jefferson School and pray that one day they understand the value of history AND historic buildings. Savannah College of Art and Design has single-handedly reorganized and transformed the historic Savannah, Georgia and has now begun in Atlanta. Their ideas and models of development are worth studying.